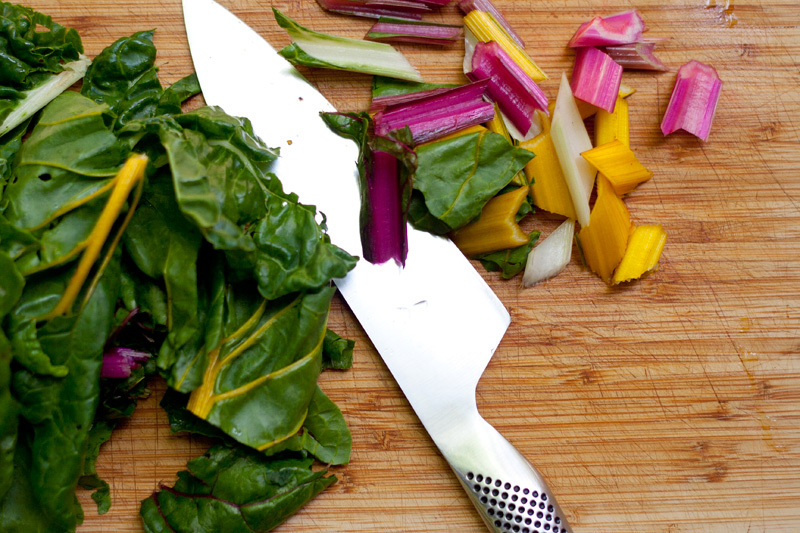 The chard is so pretty, and I’m crazy about spring onions right now. This serves two. 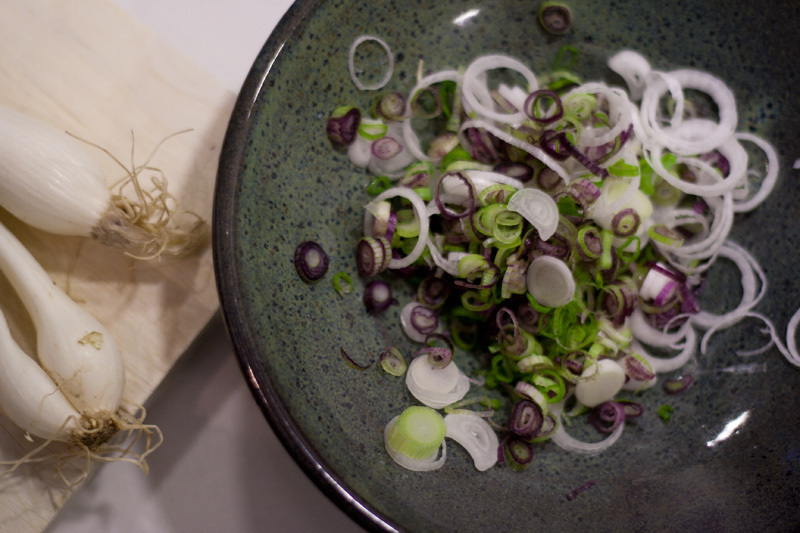 Wash and chop your chard and then chop your onions. Nice if you get a mix of white and red ones. 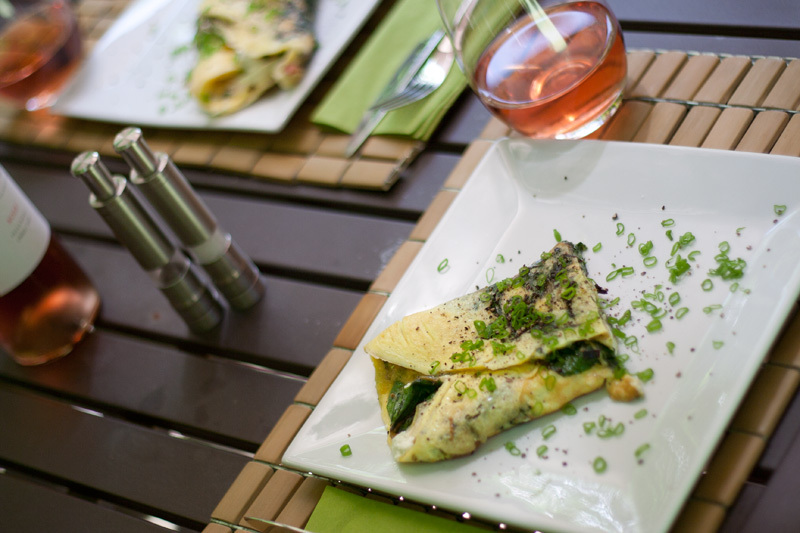 Use the bulbs in the omelette and the green parts sliced thinly for garnish. Put some olive oil in a pan and heat it up. In go the onions. Give ’em a sec. Then in goes the chard. Some people will tell you that you need to have some water to wilt greens, but I find it works just fine without. Stir it all for three or four minutes, until the chard is wilted and things are looking soft and tasty. Beat your eggs while this happens. Warm some plates. You know. Pour in the eggs. When they start to set, lift the edges here and there and tilt the pan so the runny bits roll under the set bits. As though you were Jacques Pepin. Crumble the goat cheese over it when it’s nearly set. Fold. Cut. Garnish.